Disclosures about the United States government’s spy programs have prompted roughly one-third of Americans to better protect their private information, according to a new report, but many remain unsure of how to fully avoid eavesdropping. The results of a Pew Research Center poll released on Monday show that the release of classified national security documents provided to the media in 2013 by former US intelligence contractor Edward Snowden has indeed played a role with regards to the steps Americans take to secure their personal details. According to Pew’s survey of 475 adults, 34 percent of participants who are aware of the US government’s spy programs say that they have taken at least one step towards either hiding or shielding their private information from the feds in the fallout of the Snowden disclosures. Of that group – roughly one-third of the people polled by Pew – a handful said that the internet and phone surveillance programs have prompted them to make changes ranging from adjusting privacy settings on social media accounts to avoiding certain apps, and even certain terms, when communicating with others. A quarter of the adults who are aware of the spy programs told Pew that they have changed the way they use modern technology either “a great deal” or "somewhat” since the first Snowden disclosures, according to the report. When it comes to employing specific tools meant to evade eavesdropping, however, Pew’s research revealed that Americans remain largely unaware of some of the more commonplace options with regards to securing digital data. Around 13 percent of the people surveyed said they were not aware of the existence of privacy-minded search engines, the research revealed, and 31 percent said they did not know about email encryption programs, like the PGP system developed nearly 25 years ago. Tor, the online anonymity network that routes traffic through encrypted nodes in an effort to scramble internet transactions and avoid eavesdropping, was a completely foreign concept among 39 percent of the people surveyed, according to the Pew report. Of those that did know about Tor, 40 percent said they had not considering giving it a try. “One potential reason some have not changed their behaviors is that 54 percent believe it would be ‘somewhat’ or ‘very’ difficult to find tools and strategies that would help them be more private online and in using their cell phones. Still, notable numbers of citizens say they have not adopted or even considered some of the more commonly available tools that can be used to make online communications and activities more private,” Pew explained. “These figures may in fact understate the lack of awareness among Americans because noteworthy numbers of respondents answered ‘not applicable to me’ on these questions even though virtually all of them are internet and cell phone users,” the report continued. Earlier this year, a digital security report conducted by Pew revealed that half of investigative journalists surveyed during a Dec. 2014 poll said they don’t use any specific measures to protect their records from potential government eavesdroppers. Nevertheless, 64 percent of the journalists surveyed – and 71 percent of those working specifically in the realm of national security – said they believe the US government has collected data about their communications. 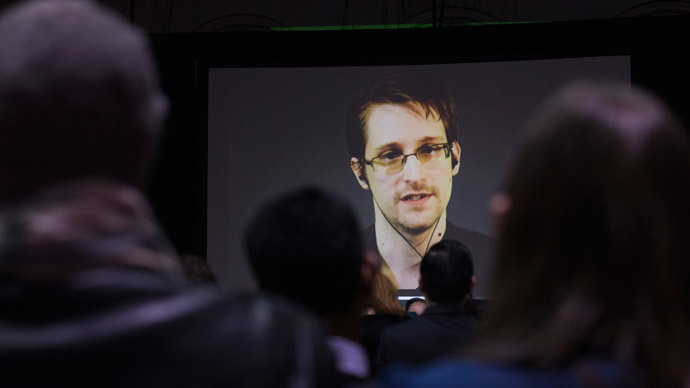 According to the latest Pew report, Americans are still largely split when it comes to the Snowden disclosures nearly two years after the first National Security Agency documents surfaced and subsequent investigations began to expose the scope of the government’s spy programs. Eighty-two percent of the people surveyed by Pew said that it is acceptable for agencies like the NSA to monitor the communications of suspected terrorists, and 60 percent said the conversations of American leaders and foreign leaders alike should be fair game. Fifty-four percent of the participants said it was acceptable for US intelligence to monitor the communications of ordinary foreign citizens, but 57 said it was unacceptable for those agencies to spy on Americans.